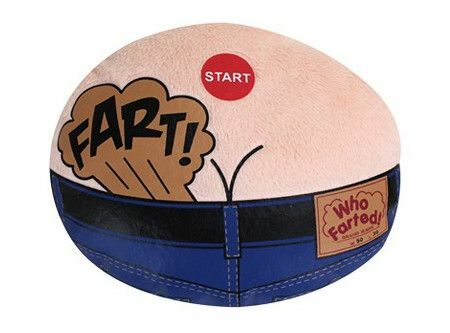 I know that fart gags can get old pretty fast, but there are moments in time when having a farting joke can be fun, or even break the tension in a room. However, I find that fart jokes work best when it comes to a group whom you are familiar with, and hence the $16.99 Who Farted? The Gas Passing Game does seem to be the ideal purchase when it comes to a group of crazy friends who love nothing better than to slap the back of one another while guffawing aloud and any and every joke. Basically, this is one game that will have you and your friends pass the blame for hours on end, which is more or less a perverted version of Musical Chairs.